How to choose best management college ? 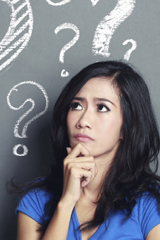 After junior college, most of us find it very difficult to choose a career of their choice. And nowadays, there are many management colleges in the market. Choosing one of them is a difficult task. Although, the intensity of this trend in the education market of India has softened a little, still, it has been one of the most promising choices for a good career. There are many questions which haunt students and the parents mind like Is this the best management college in Pune or India? Or whether I should just go for the brand name? But the faculty should have good teaching skills. View the profiles of the institute. Be sure they have at least three-five years of professional experience in industries. Actual industry experience is important to perceive the concepts of management. In management college, the faculties must have industry experience so they can share their practical experience too. Only teaching experience might not help the students to become professional in the outside world. So go through the faculty list. In India, it is compulsory for a management college to be approved by AICTE or UGC. Make sure the college you are opting for has all government approvals. There are many fake and autonomous colleges whose degree is not recognized. Look for an admission procedure you need to follow. Almost all management colleges have their own defined entrance exam. Although most of them are government recognized i.e. MH-CET. 5. Next important thing is tie-ups with corporate organizations and companies. It is necessary for corporate experience as well as placement opportunities. Go through previous batch placement records. While choosing a management college, it is a must to care about fees and infrastructure also. A Seminar Hall, Practice Labs, Projectors, Hostel facility(Depending on location), Computers and availability of essential software are basic infrastructural requirements. Once you are done with filtering the list and getting out a couple of names of best management colleges go for a review. Nowadays there are many websites which give an honest feedback about a college. Go through the review and rank of your chosen management college. We, at MIT-SOM College, have a wide variety of academic and special interest groups that are supervised either by department or section heads (academic) or by the cultural committee formed by the students. From the beginning, students are a part of the MIT- SOM College community impacting class discussions, participating and leading in activities and making friends. Our students help to shape their own education and experience. 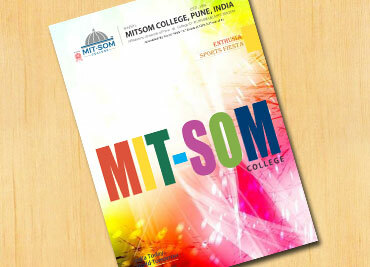 To know more visit www.mitsomcollege.com or call us on 08380023808/08380023809.